With the rise of social media, it seems as though a lot of the pomp and circumstance that goes hand in hand with the sport of boxing is at an all-time high. Whether it’s the inflated ego of a boxer-turned-showman or his fans creating unnecessary hoopla, it can be hard to discern the talent from the talk. That is, unless you are Gennady Gennadyevich Golovkin. GGG, as he is better known by his worldwide fan base, is one of the most feared and revered boxers of all time. It may be because of his undefeated boxing record. Perhaps it is because of his nearly 90 percent knockout rate. Or maybe, and most importantly, it is because it’s always the quiet ones you should watch out for. Whatever it may be, Golovkin’s statistics speak for themselves, so he doesn’t have to. Haute Livinghad the pleasure of sitting down to talk to “Triple G” in advance of his highly anticipated, upcoming fight, in what should have been a rematch between himself and Canelo Álvarez. As he shifts on the sofa to cross his leg, GGG unintentionally flashes part of his striking timepiece: a Hublot King Power UNICO Special Edition Gennady Golovkin—the first-edition watch he launched with the Swiss-based luxury brand, limited to only 25 pieces. 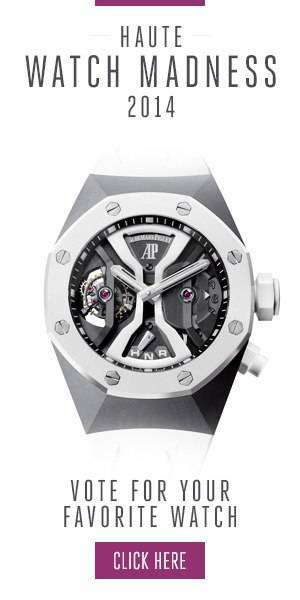 Needless to say, it sold out very quickly, as did the second edition: the Classic Fusion Special Edition ‘GGG.’ His third collaboration with Hublot is set to launch in early May, just before his upcoming fight night. Golovkin became an ambassador to Hublot over a year ago and when initially asked about joining the brand’s team, GGG was again, humbled. “I’m very thankful for Hublot and its people. They asked me only once and I said, ‘Of course. Wow.’ It’s very special for me and it’s an amazing brand to represent.” Hublot CEO Ricardo Guadalupe echoes that sentiment as well. When he first announced the partnership, Guadalupe called GGG “A remarkable champion.” The partnership is one that made sense, given that both Hublot and Golovkin are champions in their respective fields. His winning mentality partners well with his strong morals and values. One might say he really puts in the work to “fight for it,” which happens to be the slogan of Chivas Regal. Last year, the luxury whiskey brand joined forces with GGG when it introduced The Chivas Fight Club, “aiming to inspire a new generation while making a positive impact on the lives of others,” according to the brand. Golovkin stresses a few times how important it is for him to “win the right way,” which continues to come with a lot of discipline and a lot of sacrifice.